Twenty years ago, Cozy Friedman pioneered the first children’s hair salon in New York City. Part play space, part toy store, Cozy Cuts for Kids is a institution—a rite of passage for a first haircut, a destination for boys and girls to get regularly coiffed while watching their favorite movie. For little ones, there are toy cars, planes and butterflies to sit in, Elmo videos and bubbles— turning a haircut into happy hour. For bigger kids, there are kid-sized salon chairs, countless videos to choose from and a wall of dazzling hair accessories that makes girls swoon. A saunter through the toy aisles might make a haircut cost a little bit more, but believe me, it’s all worth it. And the whole experience is topped off with lollipops and balloons. A visit to Cozy’s is so fun, they do birthday parties. There is no higher expert on kids’ hair than Cozy Friedman. 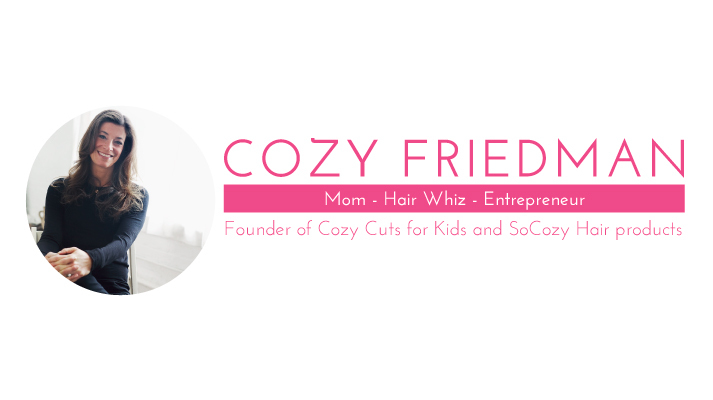 Last year, she launched SoCozy haircare for kids because she realized there was a huge gap between baby hair care and adult products. And it’s so true. That’s why I was still using “baby” shampoo and conditioner on my seven year-old. As with her brilliant salon idea, Cozy answered another obvious need in the world of kids hair. And if, like me, you’ve ever had to detangle a little girl’s hair while she screams, or attempted to calm down a boy’s morning bed head before school, you, too, realize that the world of kids hair is not to be taken lightly. ”They” say that a person’s hair texture changes every 7 years and I’m a believer that it’s true. However, baby hair is different than toddler hair which is different from older kid’s hair. It’s not a particular age though that the texture changes. I see kids in my salons that need a haircut at 5 months, whereas some kids don’t need a haircut before turning 4. Every child is different. Definitely, which is the reason why it’s so important to choose products that are specially formulated for kids. Watch out for harmful ingredients. With a little effort, it’s possible to find substitutions that deliver professional results so we’ve made that commitment. We have a non-negotiable No Nasties policy for our formulas and we’ve even taken that a step further to include no gluten, nuts or wheat. The hardest part of getting children into washing their own hair is making it not feel like a chore. Make it a fun activity and be prepared for mishaps. Shampoo will inevitably drip down into their face so keep a wash cloth handy before it drips too much and be sure to use tear-free formulations. In my salons and with my own kids, I’ve noticed that if kids love the fragrance they will actually want to wash their hair. • Out of control frizz: Wash every three to four days to let natural oils build to combat the frizz. Using a hydrating conditioner after you wash keeps hair moisturized and frizz free. Our SoCozy Super Hydrating Conditioner gets the job done in a snap. • Flat flyaways: Wash hair very two to three days and use a quality shampoo and conditioner such as the SoCozy Cinch 2-in-1 or 3-in-1. You want to make sure you don’t weigh hair down with heavy conditioners in an effort to manage the flyaways. • Lice: No one likes to talk about it but lice happens. 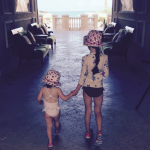 Many parents don’t realize they can take preventative steps to avoid the pesky critters. Don’t wash your kid’s hair every day. A buildup of natural oils make it harder for lice to attach to the hair shaft. Another tip is to use tea tree oil-based products like SoCozy Boo! Lice Prevention Shampoo and Spray. Use shampoo every other day, and use spray regularly on hair, pillowcases, hoods and hats. Use a wide-tooth comb and not a brush. For long hair is really important to section hair with clips and spray a detangler while combing. Our Cinch Detangler + Leave-In Conditioner was created specifically with knots and bedhead in mind. I just created a brush for SoCozy (launching soon) that has soft padding and coated bristles that’s really gentle and amazing for getting out tangles- which is what it’s all about for kids! Knots and tangles are a big issue so I created the perfect brush with coated bristles and soft padding to make process fast and tear-free – which is what it’s all about with kids. It’s bedhead. We’ve all seen little boys with crazy bedhead in the morning but it’s an easy problem to solve and it doesn’t take much time at all. For wavy or curly hair I recommend a leave-in conditioner. Just a couple spritzes will calm crazy hair and help re-establish the curl. 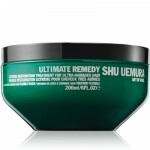 For fine or straight hair, a light styling cream is all you need to put hair in its place and give a natural hold. Of course just like most women girls with curly hair wish it were straight. The trick is learning how to manage the curls without creating frizz. I suggest parents take the time to understand curly hair and teach their daughter how to embrace her curls, rather than trying to disguise them by blowing hair straight. I have really curly hair, and when I was growing up, no one ever told me that you’re not supposed to brush curly hair, because it turns into a giant “frizzball.” Take the time to learn what works and what doesn’t work for your child, everyone will be happy! Hair trends are pretty traditional at the moment. For girls it’s the fishtail braid and for boys the perfect gentleman’s part. Both are simple and take very little time to do! We have lots of how-to videos that give parents an arsenal of quick and easy hair styles. Want to learn how to give your daughter a Mermaid Flip Tail or give your son a “Gentleman’s Part?” Check out Cozy’s great how-to video’s and her book, Cozy’s Complete Guide to Girls Hair that’s a complete reference guide for everything from fancy up do’s to everyday favorites.